View cart “Ready For Love” has been added to your cart. As a child, Janina loved to sing and play the piano. Her interest in preventative medicine and self-exploration began at age 17 and continued with her studies in psychology and homeopathy. But Janina believes being a mother, wife, daughter, sister and friend has taught her the most. Through these meaningful connections with others, she has loved and been loved and is happy to express her deep appreciation for it all. 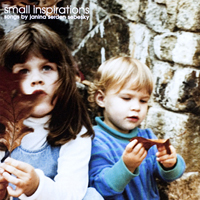 Her CD of original songs “Small Inspirations” is a tribute to the ongoing journey of motherhood as well as the inspiration for a one-act play “Small Inspirations and Great Love”. 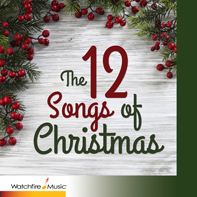 “I was inspired to write and record this CD, which has been a labor of love for me. It was like a baby that had to be born,” she says and is thrilled to share her inspirations with you. Janina’s sincerity and enthusiasm for life shines through her work which comforts, inspires, motivates and entertains. GRAMMY nominated artist and producer Janina Serden Sebesky has performed as a solo singer and pianist and as a featured vocalist with symphony orchestra. 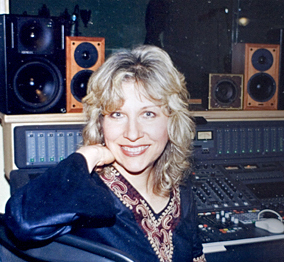 She was music director for the Emmy nominated children’s television series “Allegra’s Window” on Nickelodeon and has sung on many radio and television commercials such as G.E., Kraft, Pepsi, and DHL. As a child, Janina loved to sing and play the piano. Her interest in preventative medicine and self-exploration began at age 17 and continued with her studies in psychology and homeopathy. But Janina believes being a mother, wife, daughter, sister and friend has taught her the most. Through these meaningful connections with others, she has loved and been loved and is happy to express her deep appreciation for it all. Her CD of original songs about love, hope and transformation called “Small Inspirations” is a tribute to the ongoing journey of motherhood as well as the inspiration for a one-act play “Small Inspirations and Great Love”. 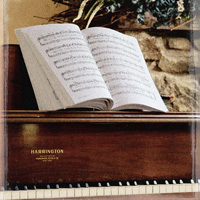 “Small Inspirations” are featured in a new greeting card line at www.WithaCardandaSong.com. 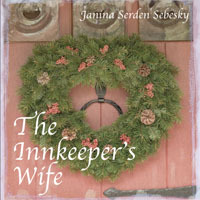 Janina’s narration and vocals can be heard on the CD “The Velveteen Rabbit: Love can Make You Real” 2008 GRAMMY nominee Best Musical Album For Children. Small Inspirations puts its arms around you and comforts you! The songs are familiar and knowing. They don't take me back to a place in time, but rather address where I am right now in my life, and still manage to fill my senses. I love this CD! The music is gently rhythmic and the words are motivational. Janina's delivery is narrative yet so sweet and very sincere. Small Inspirations is great therapy! Janina is another fairy godmother, for sure. Small Inspirations is a gift of insight, wisdom, light, and love. Some songs really touch our hearts and souls and those kinds of tunes stay with us forever- "ON THE DAY YOU WERE BORN" is that kind of tune! Janina calls us to be the best we can be with music that lifts the soul. Soothing, inspirational, moving! Janina sings to the mother and the woman in each of us. Your words made me feel special to be a mom. They really touched me deeply. This CD motivates me, inspires me and just plain makes me feel good. Thank you! Thank you for your wonderful CD. Your voice is rich and soothing and your songs are heart-warming and so upbeat. I'm happy whenever I hear it! When I put on Small Inspirations while working on a stressful project, the spirit of the songs raised my spirits and decreased my stress. Thanks for singing me through a tough spot!